Are you thinking of entering the Cath Lab market? Good for you! Now, it’s time to make some important decisions—the most important being if you’ll choose a Single-Plane or Bi-Plane Cath Lab system. There are several differences between the two, so let’s take a close look at them. 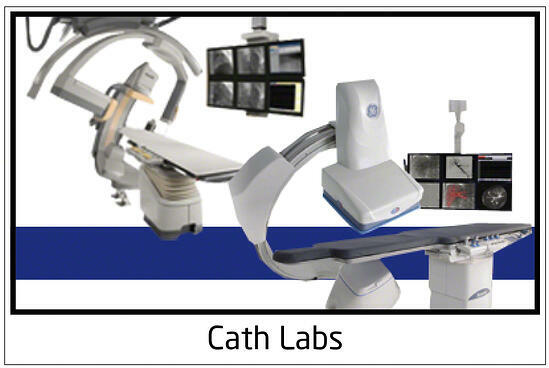 Bi-Plane Cath Lab systems acquire 3D images much faster than Single-Plane Cath Labs. That’s because the capture image data from detectors on two axes instead of one. However, Single-Plane systems are also capable of 3D imaging. However, it takes longer for the C-arm to move, so the software’s reconstruction process can cause a delay. Bi-Plane systems come with 3D software standard, while it must be added to Single-Plane labs. In all likelihood, how you plan to use your Cath Lab will determine which system you choose. For example, 3D imaging is ideal for neurovascular and electrophysiology procedures, so a Bi-Plane system is a better choice. Should you need to perform other study types in that room, it’s easy to adjust settings and only use one of your system’s C-Arms. If you perform balloons, stents, angio runs and the like, a Single-Plan Cath Lab will provide you with more flexibility. You can execute 3D images with a Single-Plane, however since they don’t come standard with 3D software, you’ll have to purchase it separately. It makes sense that a Bi-Plane Cath Lab would be larger than a Single-Plane Cath Lab. However, most people don’t realize just how much more space it can take. Make sure you do your homework and work with an experienced installer. With planning, they can usually design a way to fit either system into your space. Preparing a site for a Bi-Plane Cath Lab takes a lot more work than doing so for a Single-Planet Cath Lab. Because there are two C-arms, you’ll need additional ceiling support, additional rigging and, of course, more space. The Bi-Plane system will weigh more and need both a floor and a ceiling-mounted gantry, plus additional rails and monitors. Because Bi-Plane Cath Labs require more of everything, you can expect a higher cost, as well. Construction and operation can cost twice as much as Single-Plane systems, but fortunately service costs are only 25-30% higher. Long story short, if your facility needs to provide heart and/or brain studies, the imaging advantages of the Bi-Plane system makes sense. Otherwise, a Single-Plane system is probably ideal. If you have questions and want to talk to an expert, reach out to the team at Atlantis Worldwide. We’ve been helping clients choose the right refurbished and used medical imaging equipment for more than 30 years and we’re happy to help you. Contact Us Today! Selling your used medical imaging systems vs trading-in?